This is Mehak . I have attended briyani class. The hyderabadi briyani has come out super awesome..... my husband cannot stop himself.....Thanks a ton .i had also attended punjabi class. dal makhani turned out really good. The class was really useful apart from being a lot of fun. Thank you for redfining my cooking skills and for your wonderful receipes. It was a great learning experience for me which changed my perception towards the kitchen and the science of culinary skills. 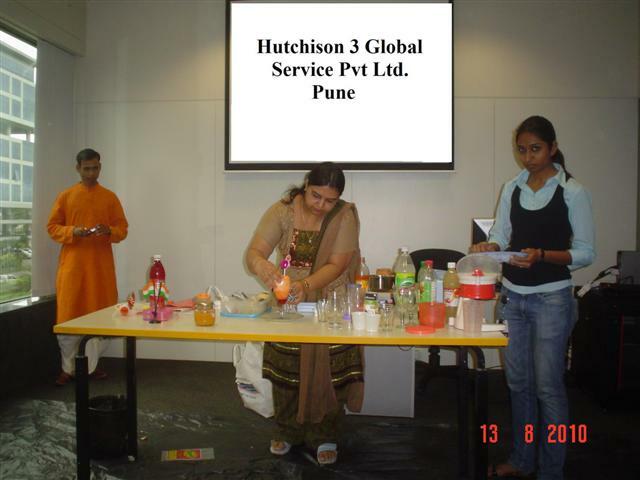 Methodology adopted while taking the classes are very simple, understandable and recipes are very user friendly. The atmosphere and the comfort level with you is very homely which add on to our learning. The classes conducted by you reveal your in depth knowledge and expertise in cookery. Moreover the ingredients used by you in each recipe are very healthy and natural. I was very much benefited by your classes and recommend your classes for everyone who desire to learn healthy and delicious cooking. I love to cook and opted to take the cooking lessons from Devayani. Everyday was a new adventure in cooking, we used only the finest freshest ingredients and then, the best part, we sat down to the wonderful meal we had just prepared. Cooking classes were informal, comfortable, practical and full of information. The classes were "hands-on," working side by side with Devayani, an experienced cook. She truly knows what she is teaching and her passion for the food is contagious. My overall favourite was the Kebabs class and chocolates class among the few classes I attended till date, waiting to learn more. Though she teaches pure vegetarian recipes, but she guides the non-veg lovers. Thank you so much for teaching me to cook all the delicious food, all those tips and tricks to cook fast.